Rachael Kuilema Klein focuses her practice in the areas of estate planning, probate and trust administration, and probate litigation. She is dedicated to solving problems and providing peace of mind for her clients. Rachael grew up in Alger Heights and graduated from Grand Rapids Christian High School before attending Calvin College, where she majored in English and Religion & Theology. In 2004, she and her husband moved closer to his family on the East Coast. Rachael graduated from the University of Pennsylvania Law School in 2006 and practiced litigation at Patterson Belknap Webb & Tyler LLP in New York City until her daughter was born in 2009. 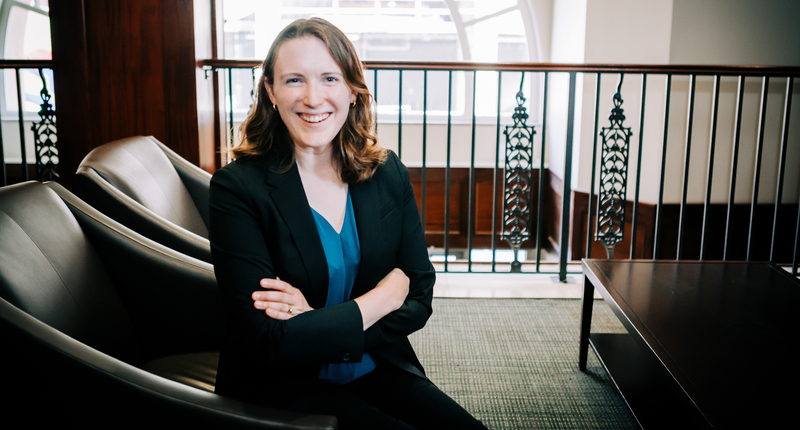 After the birth of her son in 2011 and a couple of years of part-time grantwriting, Rachael began to reenter the legal field by completing a legal master’s degree in taxation and estate planning at Boston University School of Law. In 2018, she returned to her hometown and joined Verspoor Waalkes. When she is not in the office, Rachael loves to explore new-to-her parts of Grand Rapids, to take her kids on outdoor adventures around West Michigan, and to tear up the yard in order to add new perennial flowerbeds.